Amphibians belong the phylum Chordata, subphylum Vertebrata, and class Amphibia. The class Amphibia, which is approaching 8000 species, is comprised of three extant (or currently existing) orders; Anura (the tailless amphibians commonly known as frogs and toads), Caudata (the tailed amphibians commonly known as salamanders, newts, sirens, and amphiumas), and Gymnophiona (the limbless and principally subterranean amphibians known commonly as caecilians, which have a physical appearance similar to earthworms). 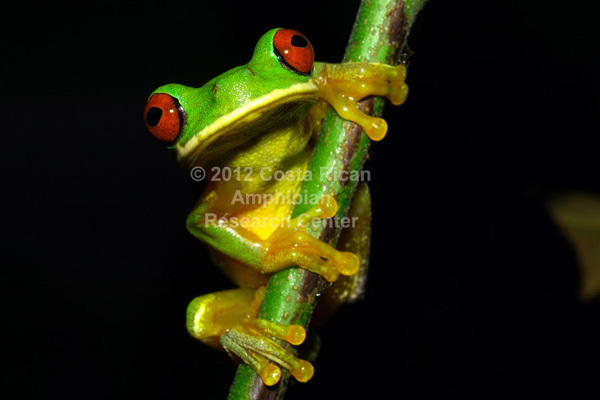 The order Anura makes up the bulk of the diversity of living amphibians, with nearly 7000 species. 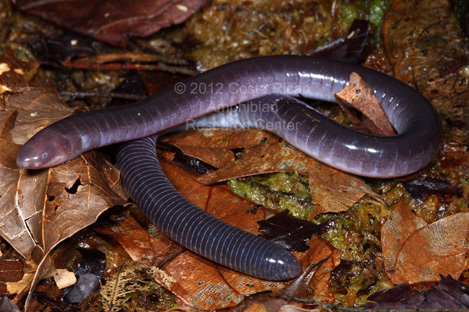 The Order Caudata is the second most diverse group of living amphibians with more than 700 species, followed by Gymnophiona with more than 200 species. 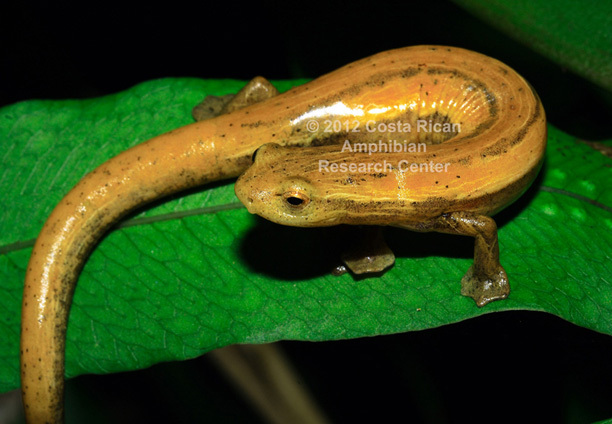 More than 200 species of amphibians are known to inhabit the tiny Central American country of Costa Rica; this diversity includes representatives of all three living orders. This page contains example images taken by the C.R.A.R.C. of some of the impressive diversity of amphibians that are native to Costa Rica.